Our four hour mixed media workshops are a great way to get together with other creative souls to play with various art mediums, whether you are a beginner or have been painting for a while. In this workshop we will use gesso as a medium to build up our layers on the canvas. 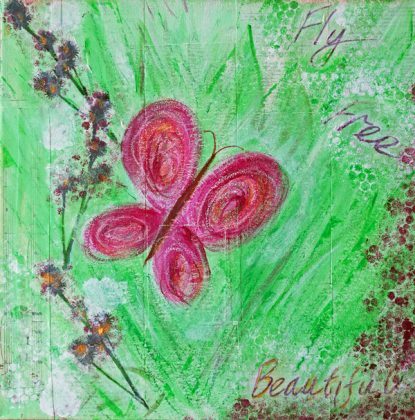 We will show you various techniques using acrylic paints, tissue paper, stamps, chalks and more. No previous experience needed as we will guide you through each step. At Arty Giraffe we always aim to make our workshops fun and relaxing. All materials, drinks and snacks are included in the price.